Over 165 years pictures on the stamps were coming in a huge variety. Now the postal miniatures are vividly illustrating the social structures of different countries and they have also become a true witnesses of the historical development. The plot of the first postage stamp - the portrait - is still occupying a significant place. Now, however, not only the heads of countries are depicted on the stamps, but also a prominent figures in science and art. Rowland Hill, who stood at the cradle of a postage stamp, is depicted on the stamps of many countries. Portrait of the United States President - Franklin D. Roosevelt - we can find the on the stamps of America, Europe and Africa. 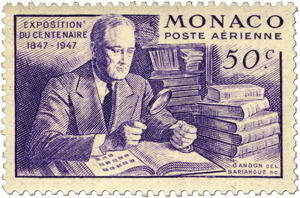 The fact that Roosevelt, above all, was a philatelist, is marked on the postage stamps of Philippines, Nicaragua, and Monaco. Many stamps in different countries have a portrait of the founder of the Red Cross - Andre Dunant. Fighter for freedom and independence of South American countries - Simon Bolivar - is honored by the numerous editions of the stamps in all the countries of South America. The discoverer of this part of the world - Christopher Columbus - also appears on many stamps. Moreover, in Chile for a long time there was a law, issued in 1858, that the stamps in denominations of 5, 10 and 20 centavos had to represent necessarily only a portrait of Columbus. This law was cancelled only in 1905. Very often stamps of different countries are decorated with the portraits of artists and composers, writers and poets, the great humanist and freedom fighters. In some countries, in the United States of America for example, there is a law prohibiting to depict on the postal stamps images of living people. In Peru, on the basis of such a law in 1932 the already printed stamp was not released into the circulation. The second main theme, that can be often found on the classic stamps - pictures of the national coats of arms - is also frequently seen on the modern stamps. France, Switzerland and Venezuela were producing, probably, the biggest amounts of stamps with the coats of arms. Stamps with the pictures on the cultural and historical themes allow collectors to get acquainted with the traditions and customs of many people around the world. Whether it is a mask or a wooden sculpture of some tribes, living in Congo, temples and pagodas of Japan, China and India, the ruins of the Forum in Cyprus - there are numerous stamps featuring folk dances and costumes - very illustrative material. Even the territories,where are living different nations are represented on the stamps. Of those stamps one could make a small atlas. Some images are so common that, for example, stamps featuring waterfalls, would be enough to fill up a solid thematic collection. Almost all countries in the world devoted their rightful place to the stamps, depicting flora and fauna. Stamps of all countries testify the technical progress and commercial success, they are representing large factories, power plants and dams, railways, ships, ports and bridges. Constantly there are found on the stamps some vintage illustrations of the transport that is important for the postal work. From the boat, made of the whole tree - to the modern ocean liner, from the locomotive of 1835 - to a modern high-speed locomotives, from the primitive trolley - to the modern cars, from the balloon to the jet aircraft and spacecraft - everything is represented on the stamps. It goes without saying that the most common pictures on the stamps are: mail coaches, mail steamers and, of course, mail airplanes. All sorts of time-spending were also not forgotten - people are shown on the stamps during playing sports and games, while having fun and dancing and - the last but not the least, during the philatelic activities. Many stamps were representing themselves. This theme is especially popular for issues, that were made in honor of the anniversaries of the famous stamps and for the major philatelic exhibitions. Studying stamps, you can find something that you will not find in many encyclopedias: the fact that the first printing house in America was founded in 1539 in Mexico City. This can be seen on a memorable picture, that shows a Mexican issue, which also is depicting Mexico's first engraving on the copper, executed in 1540. You also will be surprised to find out - thanks to the stamp - that the first book in the Philippines - "The Secret Doctrine of Christian Spiritism" was published in 1592. Gutenberg is depicted on the Bulgarian stamps earlier than on the German ones. 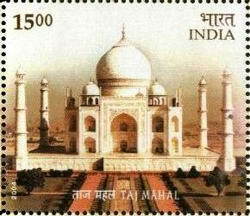 Many stamps are representing art, music, painting, sculpture, architecture and graphics. Here you can find not only the portraits of artists, but also their work. For example, in Brazil, on the stamp there was depicted the sheet with the music notation - the opening ticks of the opera "Il Guarani", written by Antonio Carlos Gomez. Argentina and Czechoslovakia reproduced on the postage blocks their national anthems. Painter and engraver, working on the stamps, can be seen on the stamps issued in Argentina in 1950. Bulgaria in a series of stamps, issued in 1947, showed the famous actors during their performance of roles, among them - Sawa Ognianov in the role of Napoleon. Compared with these realistic scenes, largely receded to the background a variety of allegorical motifs. Previously, while choosing figure for the stamp, the preference was given to the state symbols, such as Marianne in France, Bayern Munich in Bavaria, or black swan in Australia. There were also widely used another symbolic images, such as Mercury and Hermes, embodying the trade, as well as the wings or wheels with the wings as a symbols of speed.